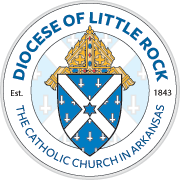 The following Catholic social service agencies and programs operate in Arkansas. Abba House is a shelter for pregnant mothers, their children and homeless women. The mission of Catholic Charities of Arkansas is rooted in the challenge of the Gospel: to serve with dignity and respect persons who are poor or marginalized; to advocate on behalf of the most vulnerable; and to actively promote charity, justice and the sanctity of life in the Church and in the community. To learn more, visit Catholic Charities of Arkansas. Hours: Mon-Fri., 8:30 a.m. - 5 p.m.
Christopher Homes of Arkansas, Inc. is a housing ministry of the Diocese of Little Rock that provides low-income housing to persons 62 years or older, or persons who are mobility impaired, that is safe, attractive and affordable. To learn more, visit Christopher Homes of Arkansas. Helping Hand is a food pantry and thrift shop that also provides limited financial assistance to families in need in central Arkansas. It is open Monday - Thursday from 9 a.m. - 1 p.m. To learn more, visit Helping Hand of Greater Little Rock. Jericho Way Resource Center is a homeless day center in Little Rock that provides resources to improve health, economic assistance and support to help those served become financially self-sufficient and find and retain housing. It is sponsored by Depaul USA. Open Mon. - Fri. 7:30 a.m. to 2:30 p.m.